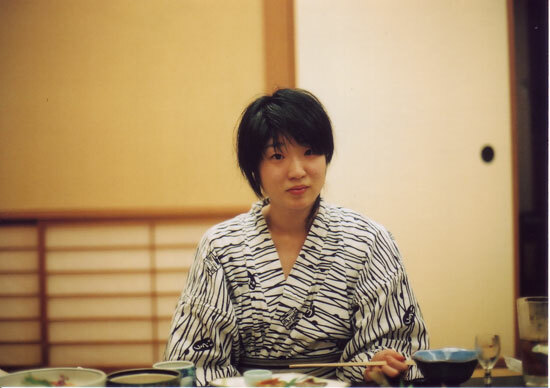 I don’t know if it’s because I am getting older or getting lazier, but rolling around on a tatami mat, taking an onsen bath (hot spring) every few hours and eating epic 3-hour meals in your room is so my idea of the best way to vacation. This particular spot had both public and private baths. The private baths were superb (out on the veranda-ish with a wooden roof). Anyway, my report comes in the form of pictures, as usual. 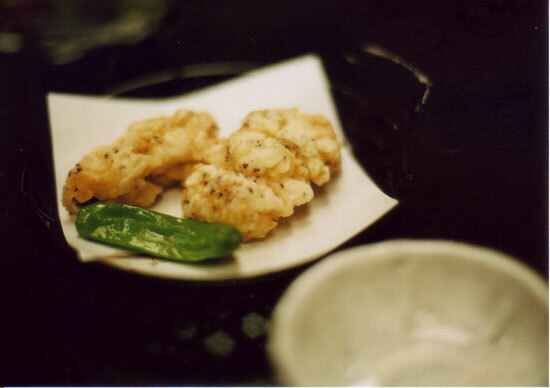 Fried Hamo – Hamo is a white fish. This was delicious and was also something I spread out through the meal. But much to my dismay the last bit I had to leave behind because I had filled my stomach beyond the tj maxx. 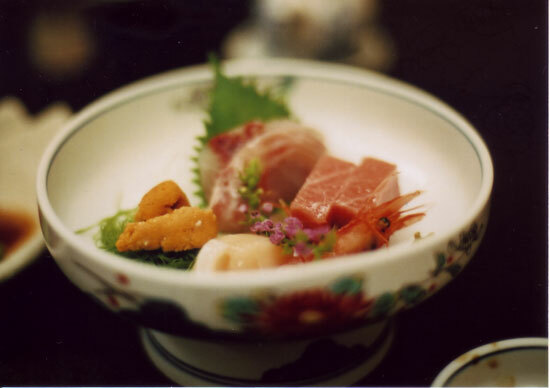 (NOTE: the images here reflect less than half of what was actually served. I was distracted by the array to take photo ops every time a new morsel arrived). This was the most artful edible that night. 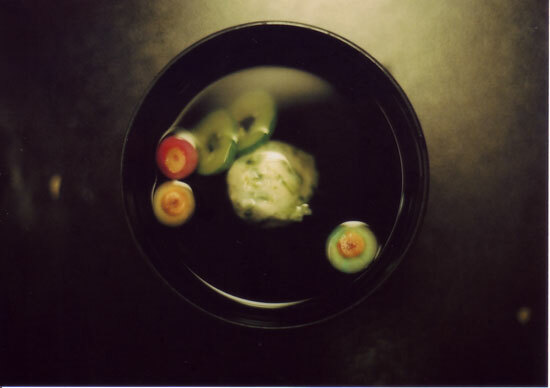 I had had enough shochu, however, to mistake it for matzo ball soup when the nice lady brought it to the table – upon which I had to explain to my unexposed-to-most-things-Jewish Japanese eating mate aka boyfriend what the hell I was blubbering about. “Huh?” yeah, that’s me BEFORE the full Asian-people-get-red-in-the-face-when-they-drink effect. The room was beautiful, as you may or may not be able to tell from this photo. 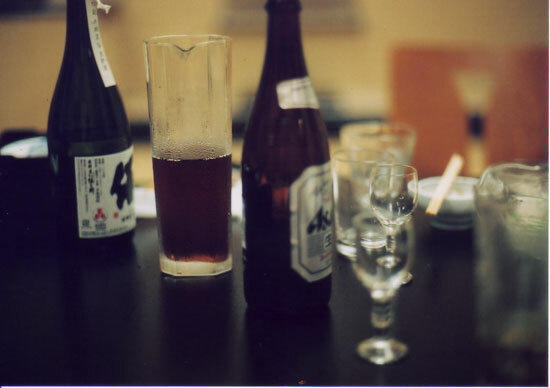 Drinks: there was before-dinner japanese sake (served in the tiny cups in the foreground), my oolong-hai ingredients (this is what I drink here in Japan – shochu with oolong tea), beer, and the shochu bottle. 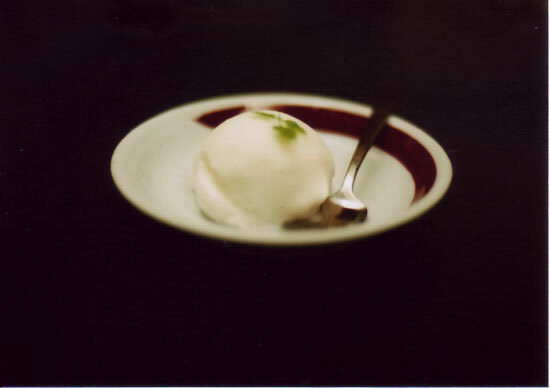 Yuzu sorbet. This reminds me, after reading the last Umami post, I’ve been praying for Pinkberry to make it to this side of the pacific. 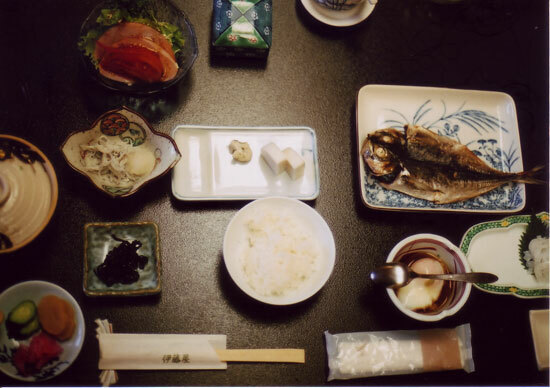 Nothing like Japanese style breakfast. It settles the heart. 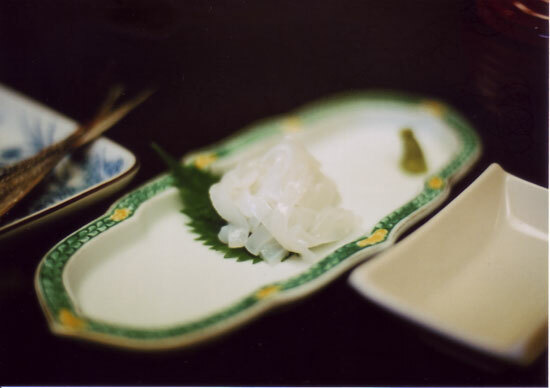 I don’t like raw squid but this was much too photogenic not to take a picture of. You are currently browsing the archives for the Yugawara category.